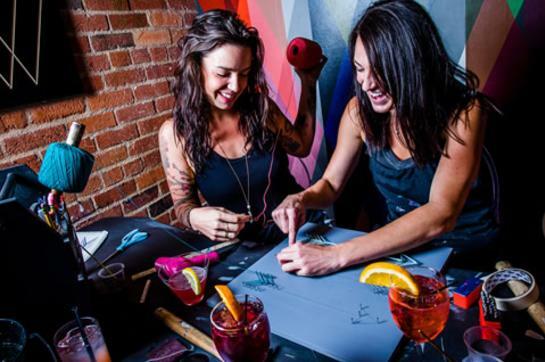 Create, Drink and Be Merry with Upstairs Circus at a Spring Series Project Social- a designated time to gather, connect, enjoy refreshing libations and make modern DIY Projects- in a hip, design forward, inspiring bar environment. 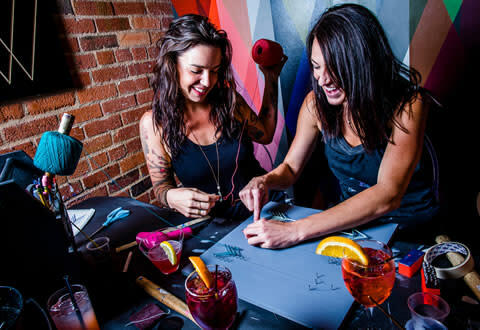 During a Spring Series Project Social, select any project to make from our 30+ DIY Projects on the Upstairs Circus Project Menu. Once a project is selected, Circus-Goers are then given supplies, tools, space and a tutorial for their chosen project. At Upstairs Circus, we don't teach step-by-step classes, but rather, allow patrons to create (and party) at their own pace, enlisting assistance from our Circus Performers as needed!